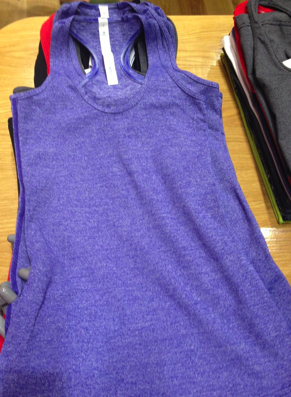 Thanks to Megan for sharing this picture of the Heathered Pigment Blue Cool Racerback Tank from her Australian store. Hopefully we see this arrive in Canada and the US soon because I’m really liking it. "Pictures of The New Will Pants"